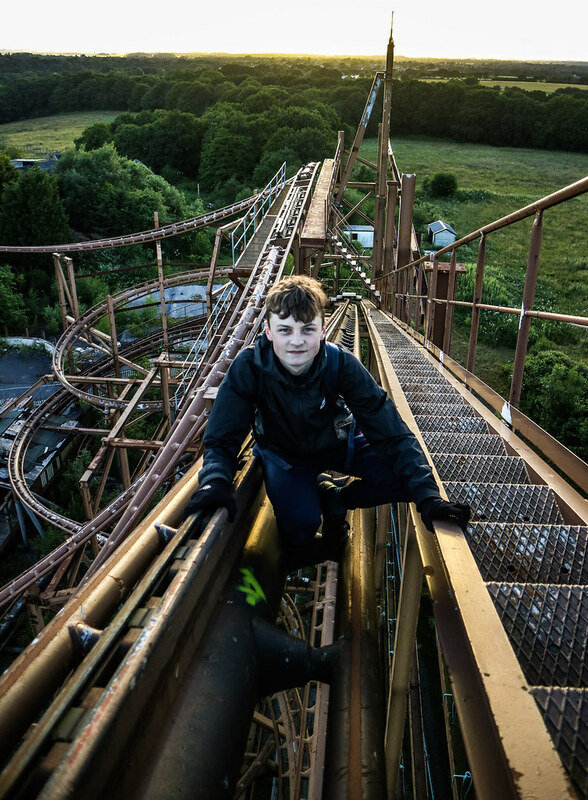 Came across this amazing abandoned theme park this week. Such a hidden gem and completely untouched. 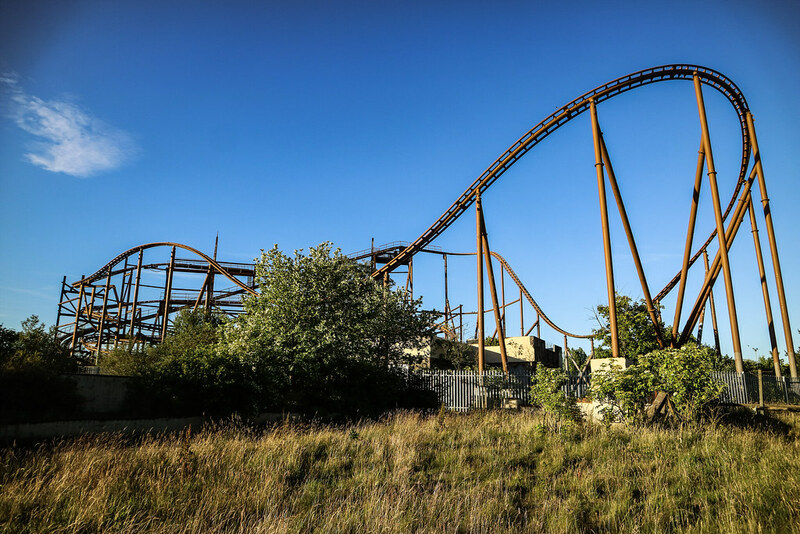 Knightmare is a Schwarzkopf/Zierer custom roller coaster at the now defunct Camelot Theme Park in Chorley, Lancashire, United Kingdom. 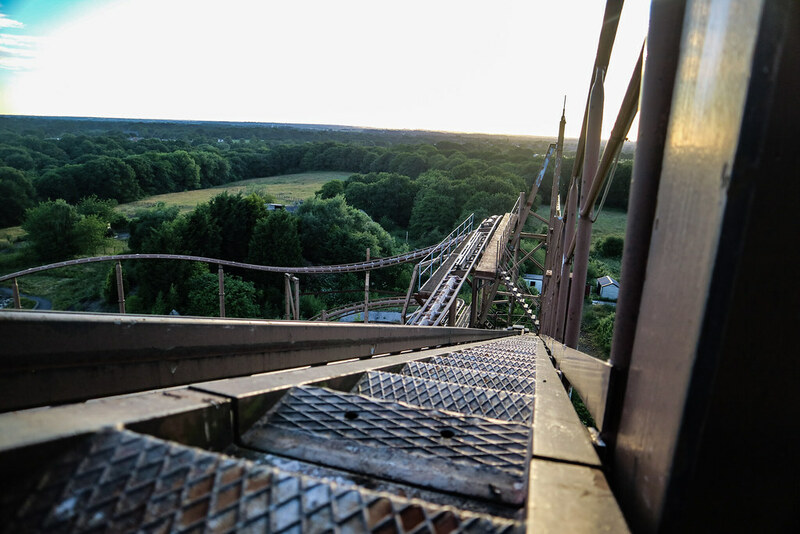 It was originally built in 1987 for a theme park in Kobe, Japan called Portopialand (now defunct) under the name BMRX'/'Bavarian Mountain Railroad, and was a dark indoor ride with a huge mountain themed structure surrounding it. After Portopialand closed in 2005, the roller coaster was acquired by Camelot theme park, and was dismantled and shipped to the United Kingdom. It cost the park £3 million to build the roller coaster. 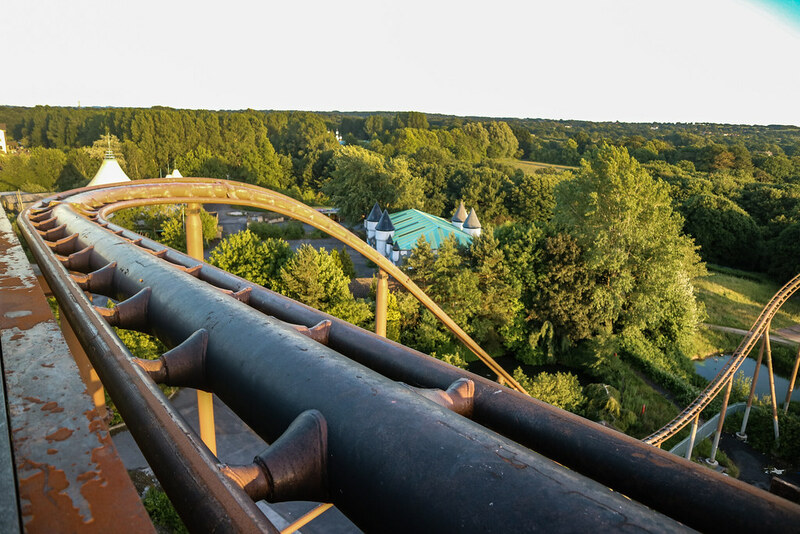 The track and trains arrived at Camelot at the end of 2006, without the mountain structure that originally enclosed it. At the beginning of 2007, the reconstruction began, with the ride finally opening to the public in the summer of 2007 as Knightmare. The coaster originally featured five different coloured trains. 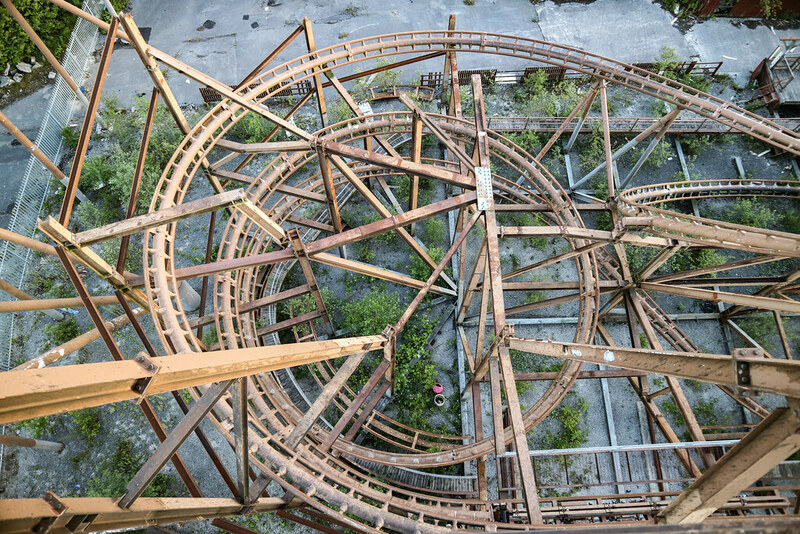 When relaunched at Camelot, the park refurbished three of the five trains. Some of the steam train theming was removed (such as the funnel and headlights) from the front of the train. The three trains were painted differently with one being partly maroon, one partly purple and the other partly green. The other two trains were placed in storage at the park. Each train had a capacity of 14 persons, and the ride had a minimum height restriction of 1.3 metres. 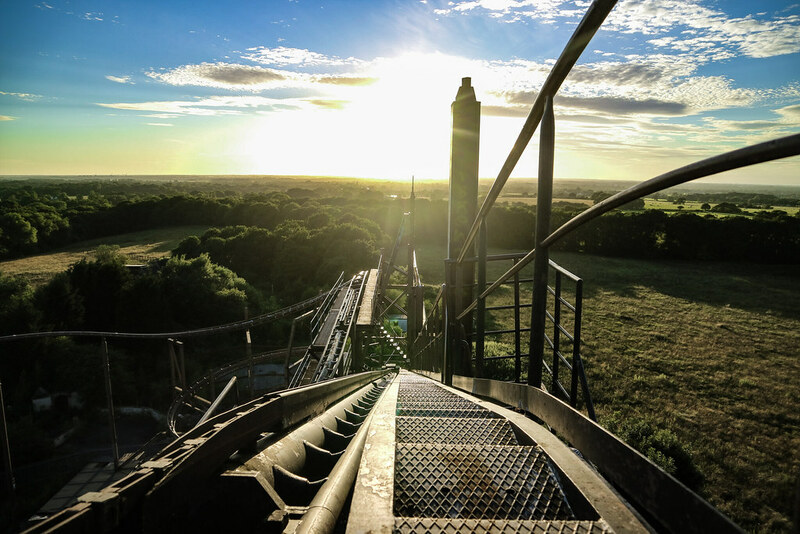 The ride takes the train up a semi spiral chain lift to its tallest point at 80 feet, then drops the train into an overbanked turn. 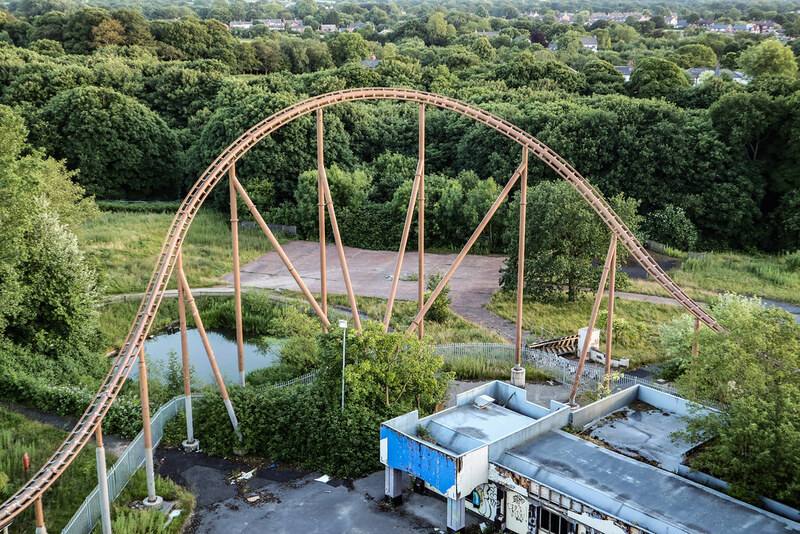 The ride then takes you through various sharp turns, multiple helixes and a near vertical bend (nicknamed "the psycho drop") halfway through the ride where you experience almost 5G, reaching speeds of about 40 mph. 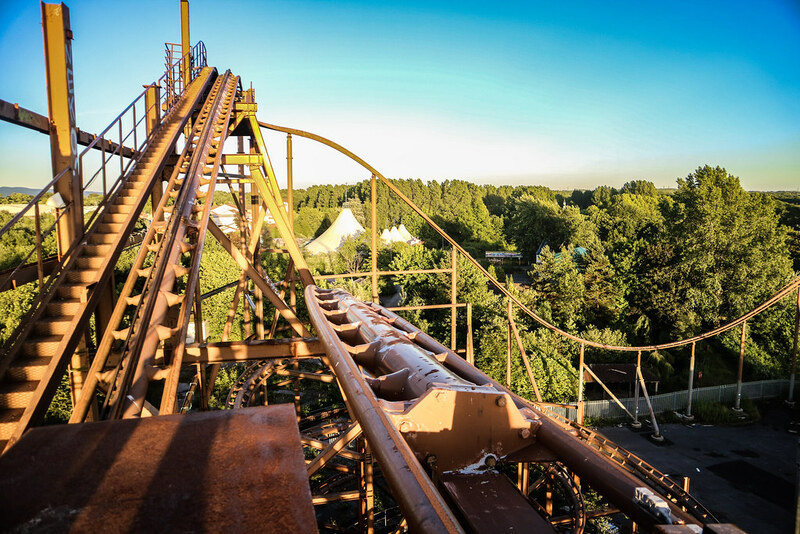 Knightmare was arguably one of the most intense rollercoasters in the United Kingdom. Seen as it's dumb close to me, I've been waiting for the right time to do this. Knowing the security are pretty harmless, I didn't care to be caught, I just wanted to be up there as long as possible to enjoy it and film it comfortably. After I caught whiff that it's a definite go I turned up the following day to finally do it at sunset. However our sunset plans were obstructed when we were suddenly called down once we were up. I would've took some shots of the station but we were worried that we had tripped a motion sensor so we quickly moved through it and began the ascent. Looking down at one of the many helixes. Don't know why this one is so vibrant. Last edited by krela; 26th Jun 18 at 18:19. Reason: Fixed video link. It looks like its still in good condition. Just needs a lick of paint and a few cars. Are you really trying to claim this as a first?? People have been up and down since 2009. Nice. I thought this place was, almost, impossible to enter.